The epic clash between two storied universes returns with Marvel vs. Capcom: Infinite, the next era of the highly revered action-fighting game series. Marvel and Capcom universes collide like never before as iconic characters team up for action-packed player-versus-player combat. Marvel vs. Capcom: Infinite is currently in development and will simultaneously release on the PlayStation 4 computer entertainment system, Xbox One, and Windows PC worldwide in late 2017. 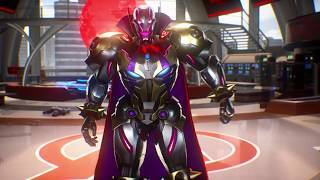 Imagined and created through a shared vision between the two companies, Marvel vs. Capcom: Infinite will feature a variety of exciting and accessible single player modes and rich multi-player content for new players and longtime fans alike.